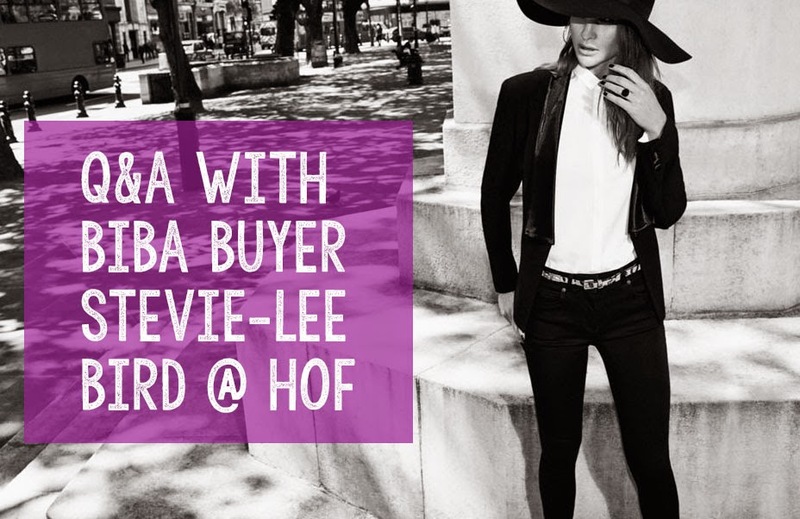 If you're a fan of Biba, House of Fraser, want to be a buyer or just love fashion in general, you'll (hopefully) love this post. 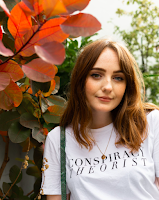 I was lucky enough to get the opportunity to quiz Stevie-Lee Bird, Biba womenswear buyer at House of Fraser, finding out about her career and some quick-fire questions about the industry, the trends and tips for young professionals trying to work their way up. Image adapted from Biba is the new black. Q. How long have you been working at House of Fraser? A. I came from a design and marketing background which gave me a great insight into the development process and led me to buying. I have always loved the 1960's and 1970's glamour so Biba was the perfect choice for me. A. Seeing a product develop from a sketch or idea to being sold in store, and travelling to various countries to get inspiration for the season. Q. And honestly, what's the worst thing? A. The jet lag after travelling to Hong Kong and India! Particularly when you have an early trade meeting the next day! Also not being able to switch off - even when shopping at the weekend you are looking at quality or new trends. A. Every day is completely different but I usually start with a large coffee whilst reviewing sales from the day before and answering emails from India and China, then I would sit down with the designer and merchandiser to go through the new products we are developing and what we need to react to. Some days we would have fit sessions, some days I could be in meetings with suppliers or some days I could be in a factory in India! Q. What has been the proudest moment of your career so far? A. The day we launched Biba in Oxford Street with Daisy Lowe and a fabulous catwalk showing the collection we had worked so hard to produce! Q. What advice would you give to a young creative trying to work their way up in the industry? A. Do internships to get a feel for the environment and talk to as many people in the industry as possible, it is often very hard work and sometimes long hours but it is worth it when you see the product in stores. Make sure you live and breathe the brand you work for, even when I am shopping at the weekend I am looking for new and exciting opportunities for Biba. Q. Are there any trends we should be excited about for next season? A. We have seen lots of 1960's influences coming through with the introduction of colourful and monochrome stripes, which is an important trend for us. On Biba look out for geometric prints with a Biba twist and lots of textured fabrics! How fab to get such an opportunity well done you.